ITP 1.1 Now Offers Assisted WT-1 Configuration! Toronto, ON - March 16th, 2004 - We are happy to announce that version 1.1 of ITP is now available for download by the public. ITP is a FTP server that is specifically designed to optimize photographic workflow, with features such as batch renaming, automatic directory generation and more. This package is especially targeted at users of Nikon's WT-1 wireless transmission device, allowing images to be organized the moment they are received by the computer. In addition to the features of it's predecessors, version 1.1 now adds an assisted WT-1 configuration utility to simplify setup of the device. Since ITP can extract many of the network configuration details directly from the host computer, it is able to fill out most of the settings on its own - vastly simplifying the configuration process. This helps users who may not be familiar with the intricate details of TCP/IP networking to configure their transmitter quickly and easilly. ITP will also perform a quick audit of network settings prior to being saved in order to warn users of common mistakes. This allows users to identify mistakes early, and save countless trial and error debugging steps later on. Furthering this support, ITP will also help manage multiple .wt1 configuration files on the host system and upload them to cards automatically. This allows users of all levels to more efficiently manage their WT-1 and avoids the need to manually shuffle files back and forth from their CF cards. Users can also import .wt1 files that they have previously created into the library where they can be managed and tracked by the server. 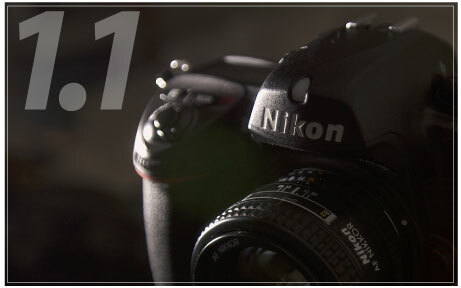 Assisted WT-1 Configuration (New in 1.1) - Users can now create and manage their .wt1 configuration files for Nikon's WT-1 right inside of ITP! Since the server knows many of the settings already, it simplifies this task by automatically filling in many of the fields for you. Additionally, when you are finished ITP will do a quick audit of your settings and provide you with warnings for many common mistakes so that they can be caught without having to upload the settings and figure out the hard way. This system is especially valuable to those without extensive networking experience, as it reduces the number of variables you need to worry about. Simple and Intuitive User Interface - Since this package is designed for photographers the UI has been designed to simplify the administration tasks as much as possible. New users can be added quickly and easilly, and it is easy to control where their files are sent. Most features can also be fully configured on a per-user basis, so you can adjust ITP's behaviour to suit your needs. *PocketITP is currently still at version 1.0, a version 1.1 upgrade for it will follow the desktop version shortly. Over the last few months, we have assisted many people in setting up their WT-1s and as such have seen many issues that people have had problems with. ITP 1.1 is, in part, an effort to help remove many of the stumbling blocks that caused people problems - making their experience with setting up the WT-1 much easier. We aim to make the setup of this device as simple and intuitive to setup and use as people are used to with traditional photographic equipment.